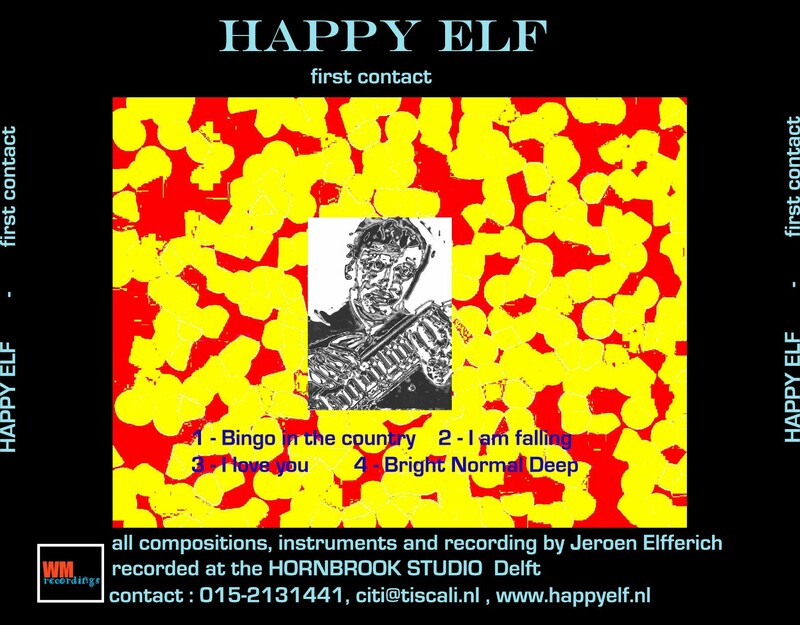 Happy Elf is the name of multi instrumentalist Jeroen Elfferich’s soloproject. He has released 8 albums since 1999. Happy Elf’s main instruments are his 2 analogue synthesizers, the Roland Juno 6 and Yamaha CS10. But we also hear electric guitar, bassguitar and drum computers. A lot of the songs are instrumental but some have vocals. Because Elferich has no beautiful voice he tries out some effects and vocaltrics. The music of Happy Elf can be labeled as electro, but actually it is much more than that: it’s pop music made with analogue synthesizers. Elfferich has been making different kinds of music for the last 25 years. He has been performing as a percussionist in orchestras, guitarist and lead singer in a rockband and as a drummer in jazzbands, funkbands, klezmerbands, rockbands, fusionbands, cajunbands etc. He recently released 2 drum books and got a very positive review in THE MODERN DRUMMER magazine. He recorded his own solo drum cd “Music in rhythm”. 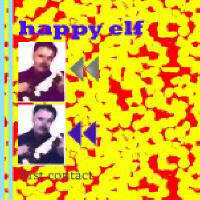 First Contact is a 4 track cd which gives you an idea of Happy Elf’s music. The tracks are from the earlier albums Bright Normal Deep and Bingo in the Country. First Contact by Happy Elf is licensed under a Creative Commons Attribution-Noncommercial-Share Alike 3.0 Netherlands License.